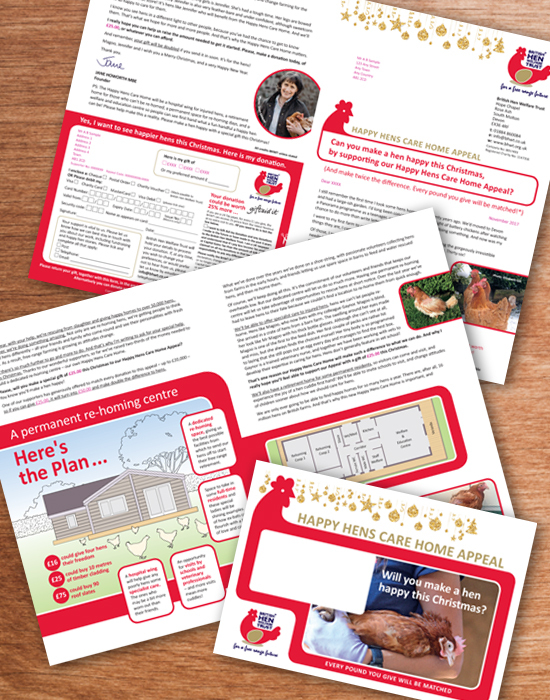 The British Hen Welfare Trust’s impassioned plea for support for their new re-homing centre for hens, coupled with an engaging pack design, produced egg-cellent results. JGA remains extremely proud and humbled to have been part of the team responsible for the highly successful One More Minute Campaign for Child Bereavement UK. In writing the Welcome Pack we wanted to reinforce why the donor gave in the first place, and really convince them that choosing to support CBUK is worthwhile, makes a genuine difference to bereaved children and families, and giving will be a rewarding and positive experience. To watch the campaign video please click on the screen to the left.